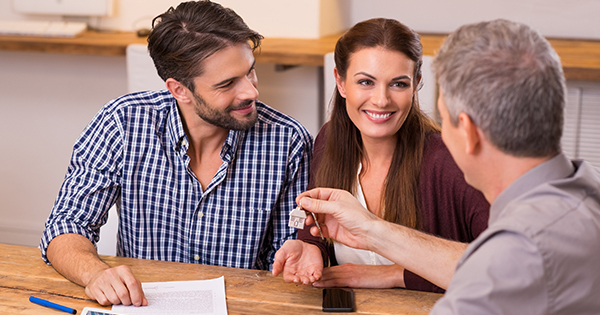 Finding the right mortgage starts with educating yourself on what the best options are based on your situation. Showing steady income and good credit are the leading elements for obtaining a loan, while collateral and other sources of income or assets can also be important. A Mortgage is an instrument that creates a voluntary lean on a real property to secure repayment of a debt. This debt is paid off by a mortgagee on an interval basis, (usually monthly) either in full during a preset period or at the end of a preset period. The most common loan periods to repay a loan are 30 and 15 years, while shorter periods are also possible but not as common for the average homeowner. With each payment, you will either simply pay interest or pay both interest and principle. Principle is defined as the part paid back on the total amount originally borrowed. In the case of an interest only loan, you will not pay back on the principle but will pay only interest over the principle and you would be required to pay off the total principle loan, in full at the end of the loan period. Most borrowers that have an interest only loan won’t wait until the end of the loan period. In most cases, they will refinance the loan or sell their house and repay the loan in full. Interest only loans tend to offer a lower monthly payment but may not be the right loan for you if the intent is to own a property for a long period (e.g. 10+years). Bottom-line, an interest only loan would still need to repay the original amount once the home is sold. In general, loans can be divided in 3 groups; Standard Government Loan programs (FHA, VA and USDA), Conventional Loans (Fannie Mae and Freddy Mac) and Non-Confirming Loans, (loans that are not following certain standards, i.e. Government and Conventional). Consult with your loan officer on all 3 mortgage groups, to find the loan suitable for your needs. Finally, as new home buyer it is important to understand the concept of interest rates. Interest is a payment a borrower pays to a lender for the use of the lender’s money. With certain mortgage products the interest rate can remain fixed, while with other mortgage products, the rate can be flexible with fluctuations on the cost of money in the market. In addition, certain loan products will allow the borrower to automatically convert from an adjustable rate to a fixed rate. It is important to know how interest rates are calculated over the life of a loan. With respect to Annual Percentage Rates (APR), this includes not only your interest rate on the loan, but also any additional (mostly upfront) costs that are added to the loan that make up a higher rate due to these costs. When receiving multiple loan offers, it is easier to compare the APRs next to each other to find the cheaper loan. How much you can borrow is perhaps better understood with the question the lender will ask themselves: “What’s the ability for the borrower to repay the loan?” Important factors that will be reviewed include income and credit score however, a lender will also want to understand other aspects of your personal financial life. For example, your current employment status, identify monthly spending patterns and any other financial obligations are all key factors. Lenders are required by regulations to assess and confirm that you as borrower have sufficient assets and or income to repay the loan. This also includes estimating the cost of the loan in the future and foreseeing that these costs continue to fall within the acceptable expectations that the borrower is still able to pay their monthly mortgage payment. Lenders may also require a borrower to deposit certain reserves to cover several months of mortgage payments, in an escrow account in the case of a lapsed payment. Based on the regulations surrounding your ability-to-repay, the loan officer will be required to calculate your total capable loan amount. The initial step in applying for a loan is called; making an application for a loan. This is a simple process, free of any charge and should come with no obligation to the borrower. Elements of an application are, the loan amount requested, income, property type, location and your personal information. A loan officer is required to give you a loan estimate within 3 business days of the application. Once the application has been signed and you agree on the terms, the loan officer now will request a credit score report. This credit report usually requires you to pay a small fee, typically between $30 and $50. This is usually the first cost you will incur when applying for a loan.